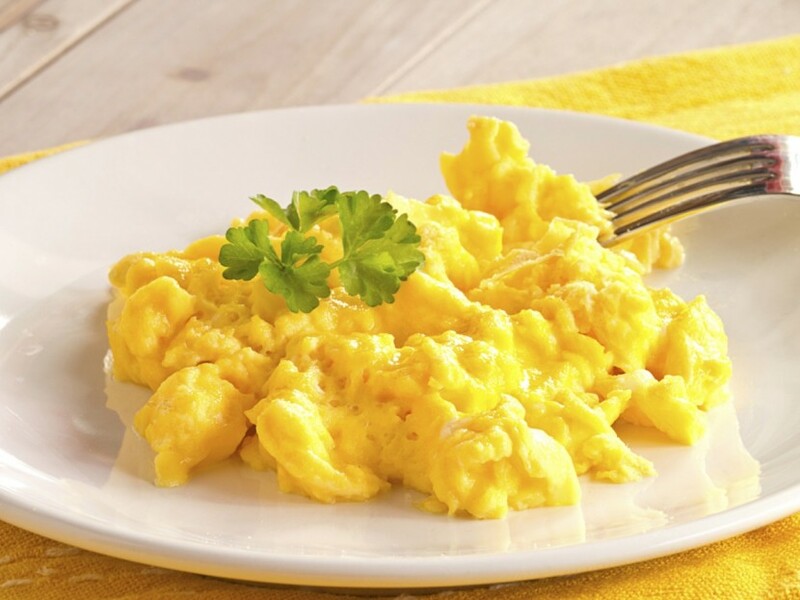 We have had some really varied experiences with scrambled eggs, some folks like them wet some folks like them dry and browned. I know that I like them creamy! Paleo people, never fear, use your own paleo mayo for this one! Crack the eggs into a bowl and whisk with the mayo until incorporated. Meanwhile, in a pan, melt the butter/coconut oil until hot (not smoking). Add the egg/mayo mix and bring it in at the edges with a spatula (this gives you nice big bits rather than bitty scrambles). Once it reaches your desired consistency, remove from the pan and serve with a sprinkle of salt on top.